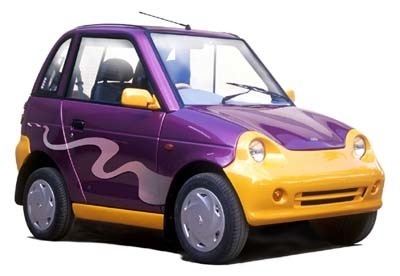 'Leccy Tech Good news for any fans of small, weird, plastic electric 'cars' - you know, the sort that look they should be owned by Noddy and you expect to fold like wet cardboard in a collision. Firstly Th!nk are back from the brink. The Norwegian maker of diminutive 'leccy runabouts has secured a loan of NKr30m ($4.2m/£2.9m/€3.2m) to keep its head about the proverbial until March by which time it reckons it will have a full re-financing package in place. The biggest chunk of cash comes from the Ener1 Group, which has a vested interest in Th!nk's survival because it makes the battery packs for the Th!nk City. 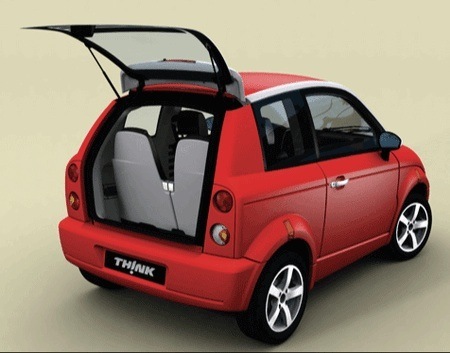 If the Th!nk City isn't quite your cup of tea, Indian car maker Reva has announced that we lucky Europeans are to get an “upmarket version” of its REVAi urban chariot, which is the world's best-selling electric car. Or so it says here. Reva say its REVA L-ion has a range of 120km (75 mile) per charge and a maximum speed of 80kmh (50mph). Reva will also introduce a fast-charge station capable of topping up the lithium-ion power pack to 90 per cent of full capacity in only one hour. The L-ion also comes with a Euro NCAP five-star rating... OK, we just made that bit up. No news on an actual availability date or likely price so you will just have to be patient.